Horses are basically ‘homebodies’ and prefer familiar surroundings. The vital ‘lessons from the wild’ will be applied in the management of our projected Paddock Paradise. 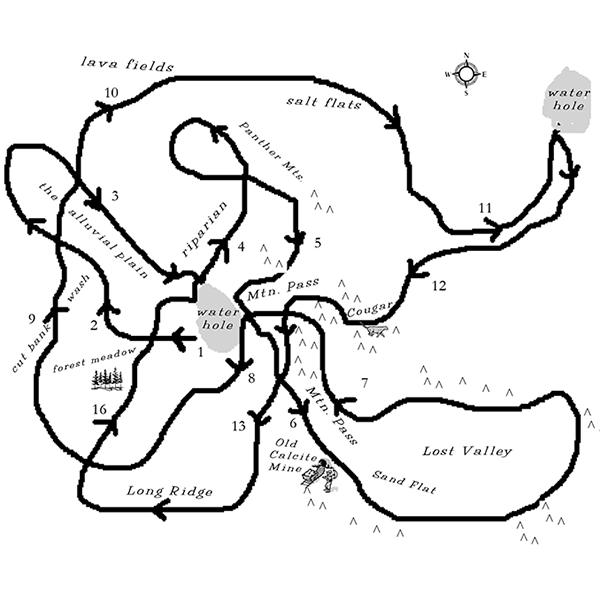 Bands of (horse) family members move along familiar routes or tracks as they travel great distances to different places in their various territories. 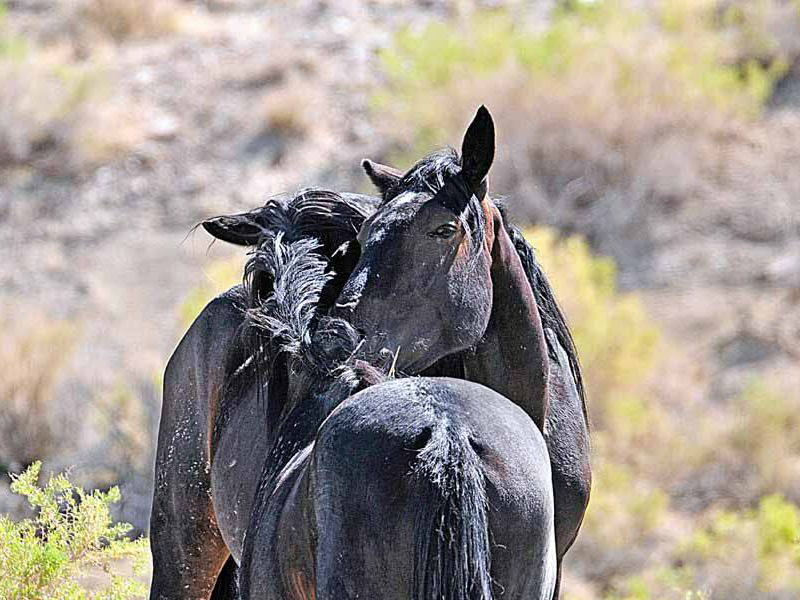 Because horses are animals of prey, they instinctively move in close (single-file) formation across these home ranges as they seek out forage, water, rolling spots, other herds with whom they wish to interact and other activities essential to their biology and survival. 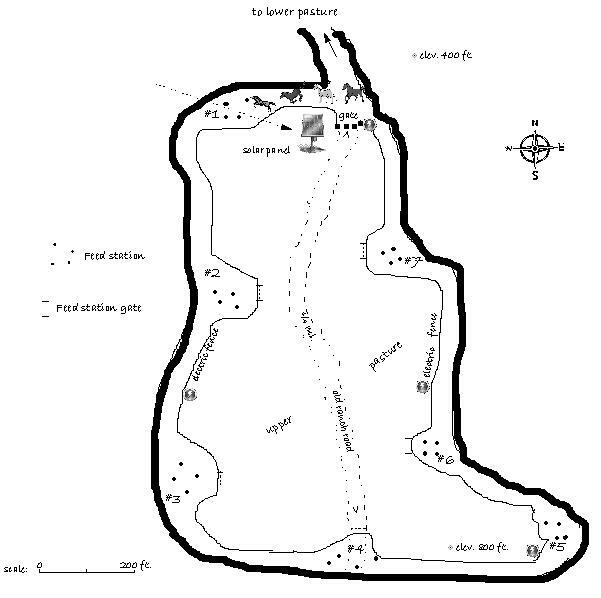 The ‘lessons from the wild’ provide us with the essential guidelines for constructing Paddock Paradise. If we violate the lessons too much, we will be stuck with expensive hoof care and vet bills. Band movements assume specific formations to minimize the danger of being caught off guard. 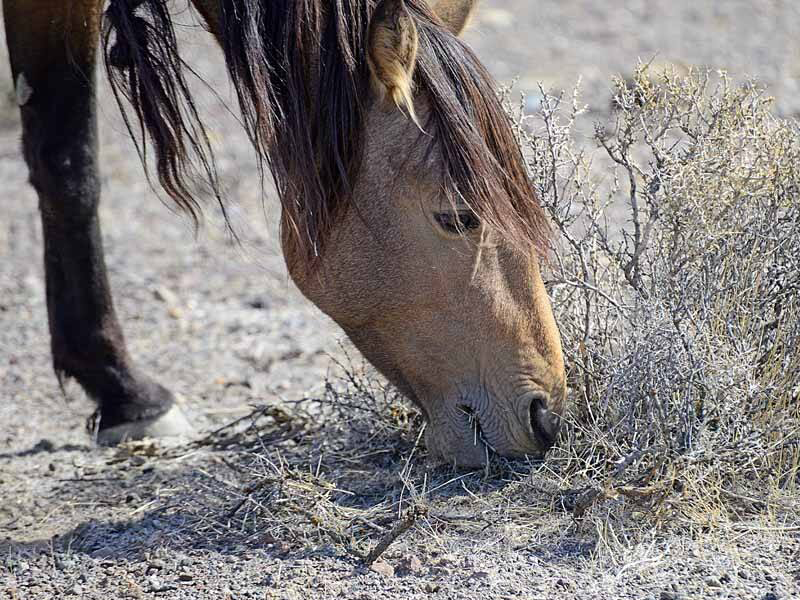 Due to the threat of predation, horses in their natural habitat rarely linger in a 'lush grassy area' in the wild for long but may grab a few bites here and there and then continue on their travels up to 25 miles per day. A more natural manner to feed horses - which is also more healthy - is to provide free access to grass hays and, ideally, various bushes, trees, shrubs, herbs, wildflowers, (etc) with very limited grass unless the pasture is one in their native biome. Grazing behavior is a slow ‘eat and go’ affair along the track. Never meandering aimlessly, and seldom at a dead standstill, movement is always directed towards the next ‘event’. 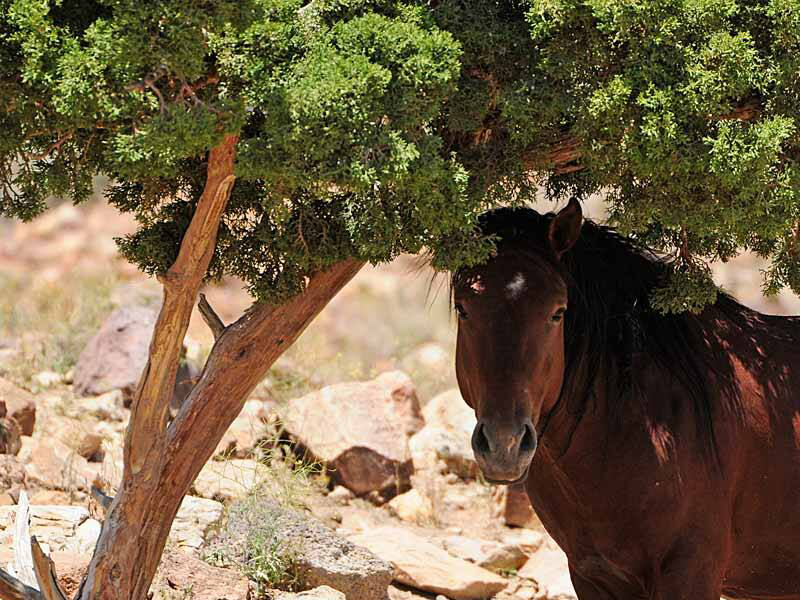 Wild horses naturally seek out trees, which form part of their home range …. there is some speculation that the bark from some trees and woody plants deliver vital anti-parasitic properties and other healthful benefits that have not yet been studied. 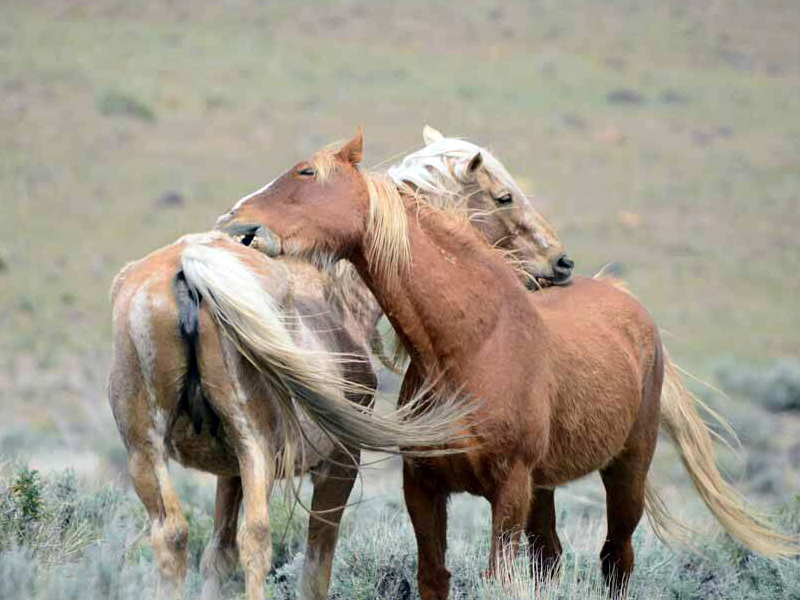 "Mutual grooming" seems to play an important role in bonding between horses and may have healthful properties as well..
We need your help in order to make a difference in the lives of millions of horses around the world. Please show your support with a financial contribution.